There’s good news for everyone who wants a MacBook with a touchscreen. A group of developers came up with a way that cost them just $1 in hardware. The process involves the laptop’s webcam, a mirror, and some programming. It’s just a proof of concept, but it shows potential. The Project Sistine camera can see the finger’s reflection. They used an application developed by Kevin Kwok, who was part of the team. This detects a finger and its reflection in the MacBook’s screen, and determines how far apart the two are. It can also locate the finger’s position on the display after a calibration process. Guillermo Webster and Logan Engstrom were also involved in development of what they dubbed Project Sistine. The equipment needed for this project couldn’t be simpler. A mirror, a door hinge, and some paper and glue. Videos posted by the developers show that it actually works, if not as quickly nor as accurately as a real touchscreen. 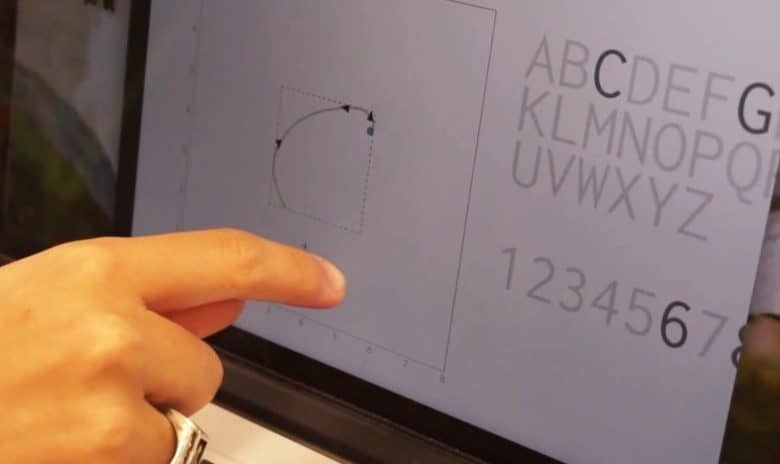 It actually can translate finger movements into mouse events for doing simple drawings, pressing on-screen buttons, and panning around in images. The touchscreen MacBook of your dreams? Whether Project Sistine will ever turn into a shipping product is an open question. But something like this may be the only option. Jony Ive, the head of design at Apple, has made it clear that he’s never going to build a touchscreen into a MacBook to merge the company’s laptop and iPad categories. Cupertino is exploring different methods to merge keyboards and trackpads. These would give users a very large touch surface to work with. Just not a touchscreen.